For this Thursday, the winds are supposed to be blowing 15-18 with gusts into the 20s so we will focus on Tacks and Jibes. If the winds are such that you can fly your normal configuration – if it is two windy to fly spinaker, then do wing on wing. We will try to setup a ½ to ¾ long course (Windward, Offset and Leeward Course) . On each leg try to do at least 4 tacks and 3 jibes. Call an observer for each leg (maybe bowman for upwind leg and mainsheet trimer for downwind leg) They should evaluate how you are doing and lead discussion. Hopefully someone can evaluate mark rounding as well, this might need to be helm. At the end of each lap, stop boat and discuss what happened, then do a second time and try to improve. Goat should be to do 3 or 4 laps. Every Tack or Jibe is an opportunity to gain or lose on you competitors. In a good tack, you should lose minimum ground and a good jibe should not cost any time or distance. The goal is to practice the work of both tacking and jibing to minimize the loss. On your tacks, you should complete the tack without veering off course (either oversteering or understeering) and accelerating out of the tack, and getting sails set as quickly as possible. 1. )From the time it you start the tack, how long does it take to get up to speed. 1. )Round the mark with maximum speed, including taking tactical rounding where you can (wide and tight) and the right rate of turn to get around the mark with minimal rudder drag. 2. )Ensure that you know and are following all rule 18 rules. 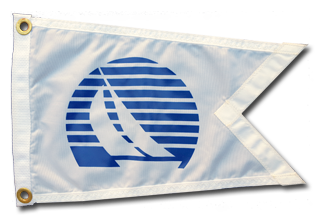 We will set a short windward/leeward course (about 3/4 miles or less) and we will sail around marks. On the upwind and downwind legs. Please note that when doing this drill, do not worry about fleets – assume you are racing all boats and try to get inside overlap, control at the marks. If you are outside boats – work on controlling speed so you come out of the rounding where you want to be positioned (inside at the leeward mark and covering/taking wind at the windward mark). Do some roundings from port to starboard and vice versus. Boats should set their downwind configuration for this exercise.